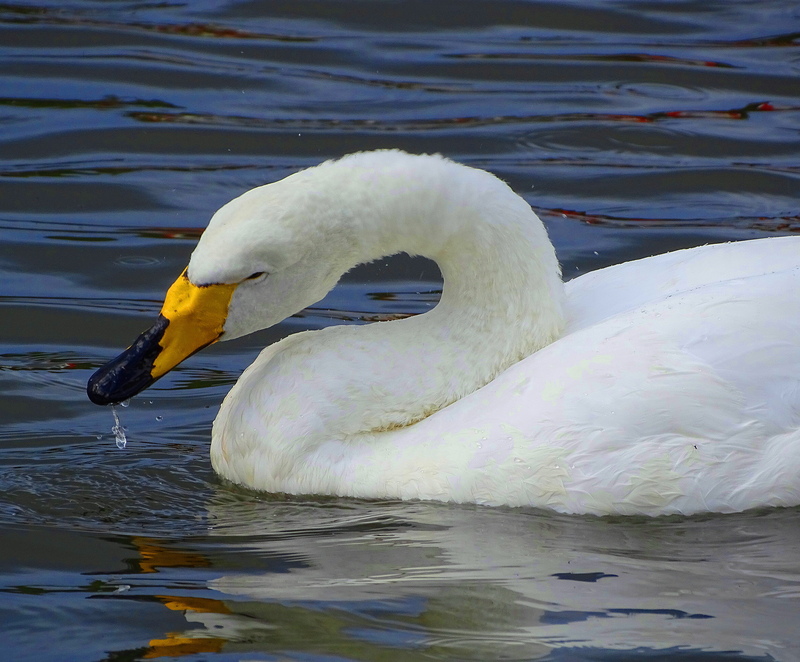 Whooper Swans are the Eurasian cousin of North American Trumpeter swans. 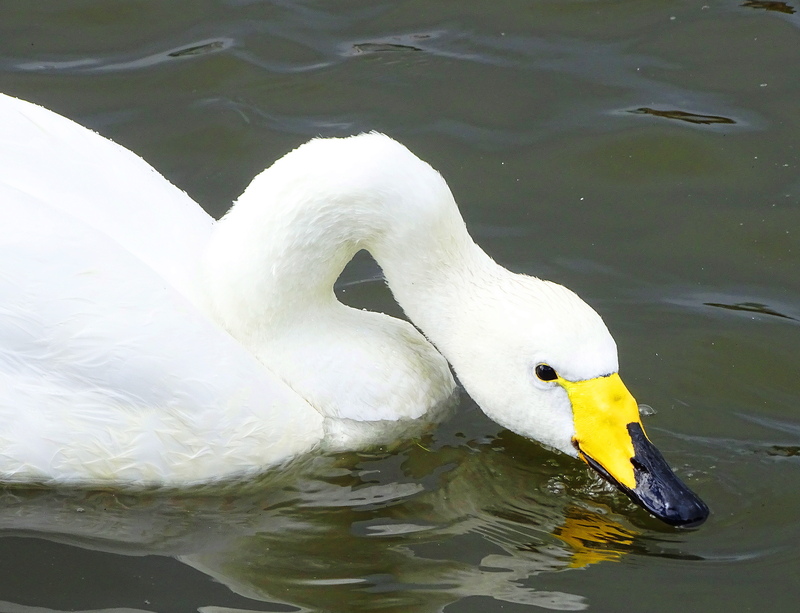 They breed all over Iceland, and some overwinter in the thermally heated parts of Lake Myvatn. 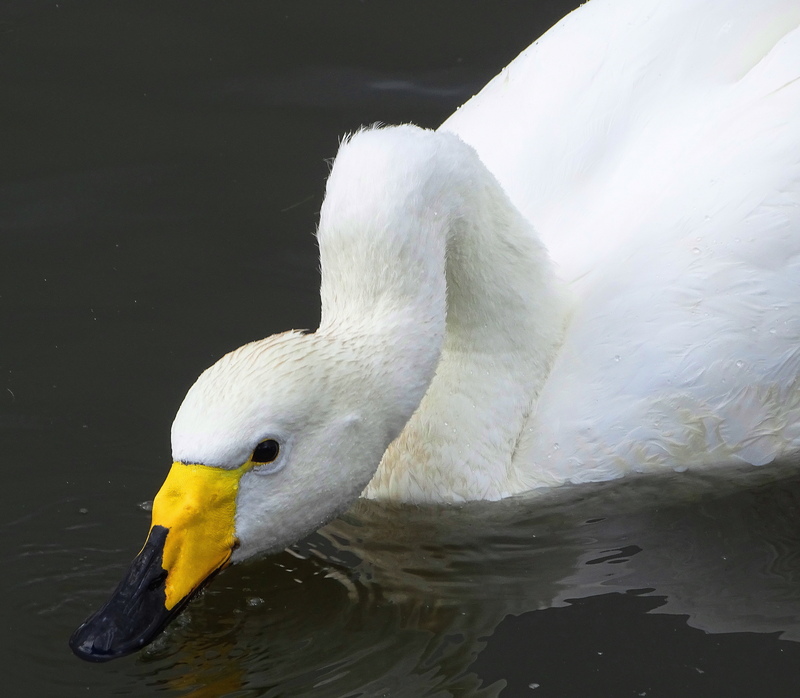 Interestingly, their North American Trumpeter Swan cousins do the same thing, spending winter in the thermally heated parts of the Yellowstone River. These beauties are aptly named as they certainly seem to enjoy trumpeting! and their cygnets, and grown offspring, often overwinter with them. I am very happy you like them! We have so much to learn from our winged friends! Hugs! Ja es ist und ich entspanne mich so viel wie möglich! Friede sei mit dir mein Freund. Beautiful birdies. I saw a small warbler that I hadn’t seen before on a branch above my feeder. An American Redstart. I hope to see it again… but it might have just been passing through to warmer climes. Such a thrill to see and identify a new visitor! I hope he visits again. So happy you see them as I do, thank you! Beautiful shots Cindy. They are gorgeous birds. Definitely worthy of a ballet. Hope all is well with you Alison. I am loving your Japan photo essays. Wonderful images, Cindy. What pretty birds! Thank you Jane & cheers to you! Gorgeous shots, Cindy! Enjoy Iceland! They are and they have nice dispositions too. Good for reaching down deep in the water! Smart swans to winter in a heated pool. Beautiful closeups! You always bring a smile to life Cindy! Spiritual hugs, love and blessings my sister! Lovely photos, Cindy. They’re beautiful creatures. And they are so friendly if you approach them with respect. They like people if you don’t barge into their space. That must have been terrifying for you. 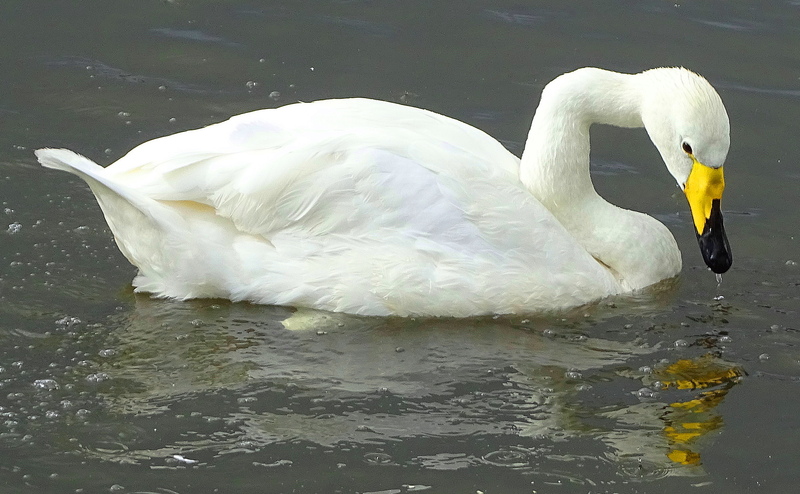 An angry swan is a formidable creature, even for an adult. Geese are great watchdogs, but can be somewhat indiscriminate. Birds are highly sensitive to approach by humans. Waiting for your book of “Birds I have Photographed” Cindy!! So beautiful! You are such an wonderful person and friend. Thank you Susanne. 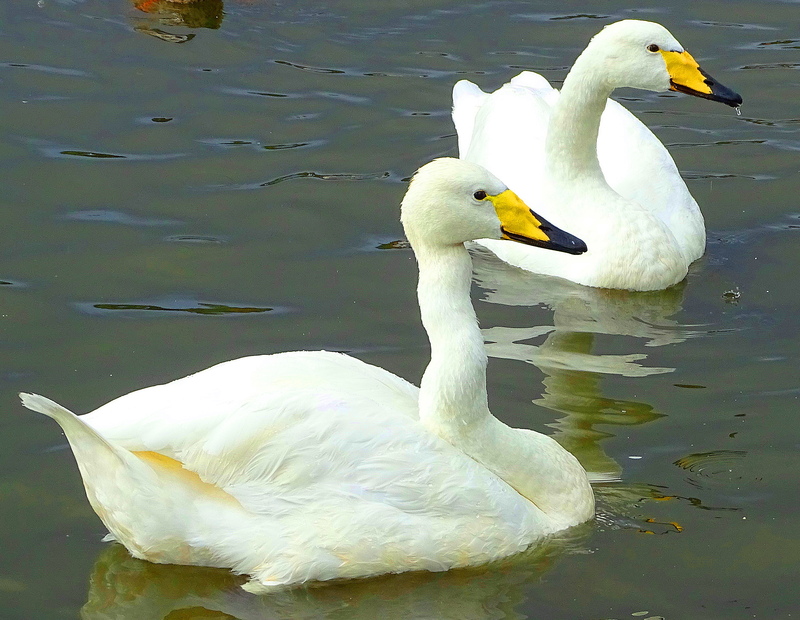 These Swans are beautiful. We see a few ducks around here and on occasion geese as they migrate but swans I rarely remember seeing unless it’s a sanctuary situation. Guess I don’t get out enough. 😉 Your photographs are amazing as always. 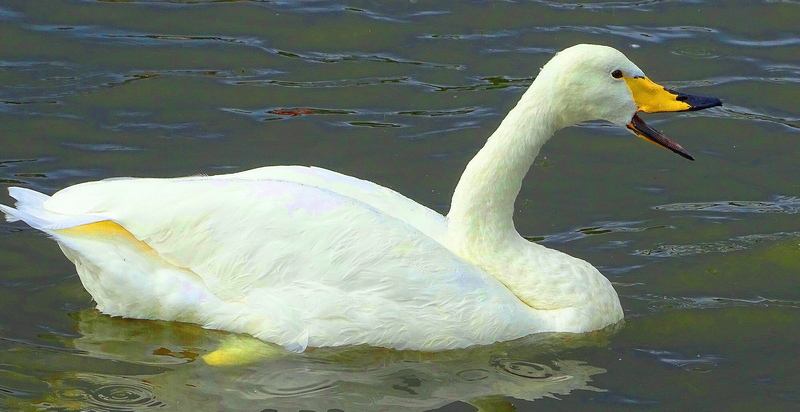 Swans are basically unheard of in Hollerdom too, so well understand. Many of these beautiful birds over-winter at Martin Mere in Lancashire, UK. Yes, I read they do! How lucky you are. They are gorgeous! Beautiful shots, Cindy! Oh , so appreciated. Thank you. How long were you in Iceland? It fascinates. Love these photos. So happy you enjoyed! We were in Iceland for two weeks, and in Scotland and Ireland also. How wonderful. Ireland and Scotland are on my bucket list. Make sure to visit the Hebrides and the Shetlands. They are simply gorgeous. Oh, thank you, Cindy. On my bucket list. Is there enough time to do it all? No. But you should definitely endeavor diligently to try! Shall try. Enjoy the weekend. Thank you for seeing the beauty. The strange thing about these birds they come to Burlington Ontario in winter time. The place they staying over winter is Lake Ontario near the huge steel plant. It seems to me the water is not really clean enough there. However they are there every single year and thanks people can survive even when the winter is pretty cold. How unusual! The Salton Sea is heavily polluted as well, but full of many thousands of birds. One thing I do know is we have not been good for them. Is it just me and perspective but does one of the swans have a wobbly neck like its been broken at some time? You are quite perceptive. Yes, it does have an abnormal neck. It wasn’t in pain and was eating fine, so I assumed it was either a healed injury or a malformation. Thanks for looking closely Charlotte! Thank you and lovely to meet you.